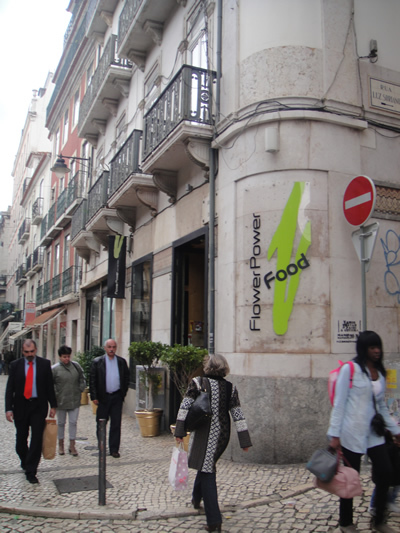 One of Lisbon’s coolest flower shops, ‘FlowerPower’, is nowadays also a café/restaurant . 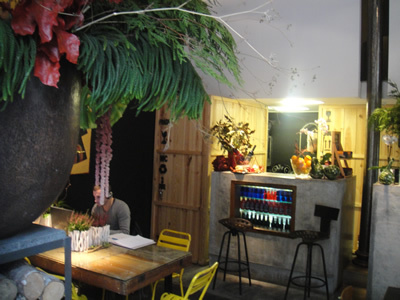 A unique concept of healthy eating amid the hustle and bustle of Lisbon’s bohemien haunt of artists and writers: the legendary Bairro Alto district. 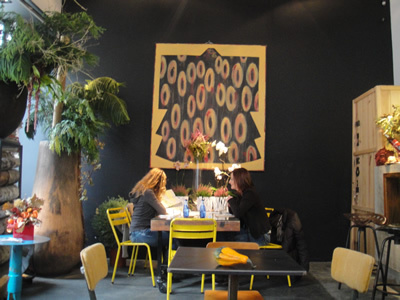 As soon as you enter the place you feel the relaxed atmosphere, perfect for a light meal. 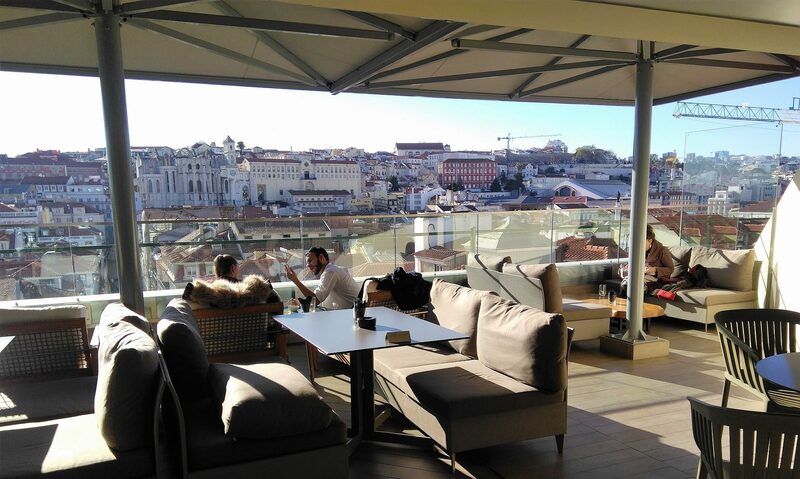 You can choose a dish of the day, salads, a soup, a slice of chocolate cake, sandwiches, or go for just a glass of wine or a cool glass of rosé, accompanied by Portuguese cheeses. 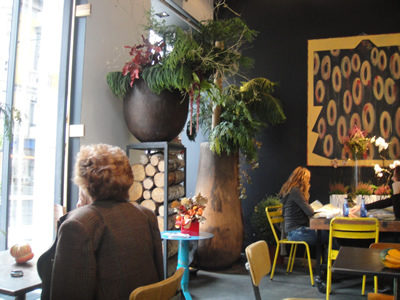 Of course the café space is lovely decorated with plants. 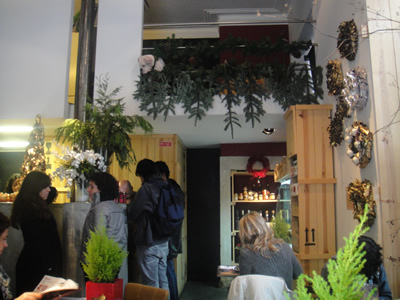 My choice for lunch: soup (sopa: creme de gourgettes) € 2; prato do dia (menu of the day) hachis parmantier € 6,50. A small area in the cafe/restaurant with gourmet products allows you to take the finest ingredients to cook at home, or take away ‘dishes of the day’ (fusion food at low cost), salads, cakes and organic juices. It’s also nice to watch the people on the street through the open door. Tram line 28 also passes this street, highly valued by tourists. 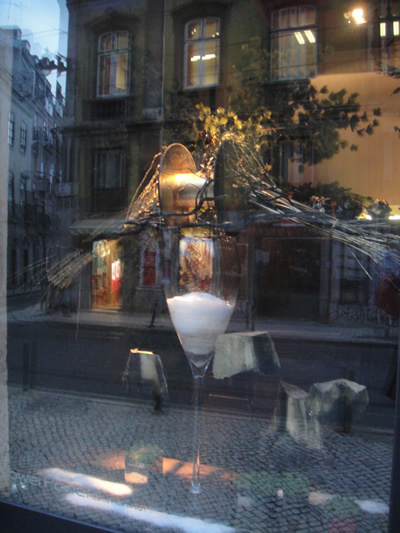 The nearby Bairro Alto disctrict is posssibly one of the best spots in Europe for a night out. 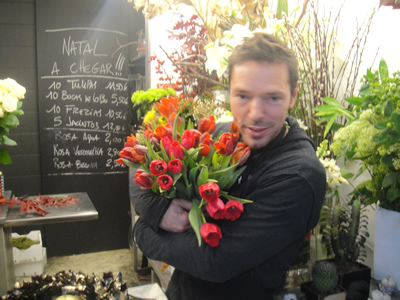 The ‘FlowerPower Food’ is an extension of one of Lisbon’s coolest flower shops with the same name, created by Carlos Filipe and João Vasconcelos for over 10 years, very well-known in Lisbon for its unique and artistic flower arrangements for all types of events. 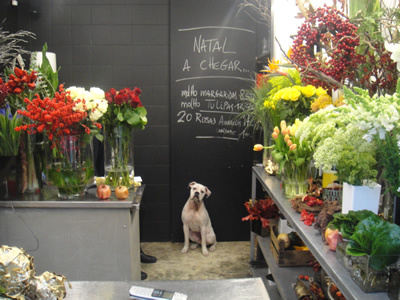 Now the huge space is split into flowers and food, and customers can buy flowers, eat in the cafe-restaurant next door or buy take-away dishes. Whats up very nice web site!! Guy .. Beautiful .. Superb .. I’ll bookmark your web site and take the feeds additionally?I’m satisfied to search out numerous useful information here in the post, we need develop extra strategies on this regard, thank you for sharing. . . . . .